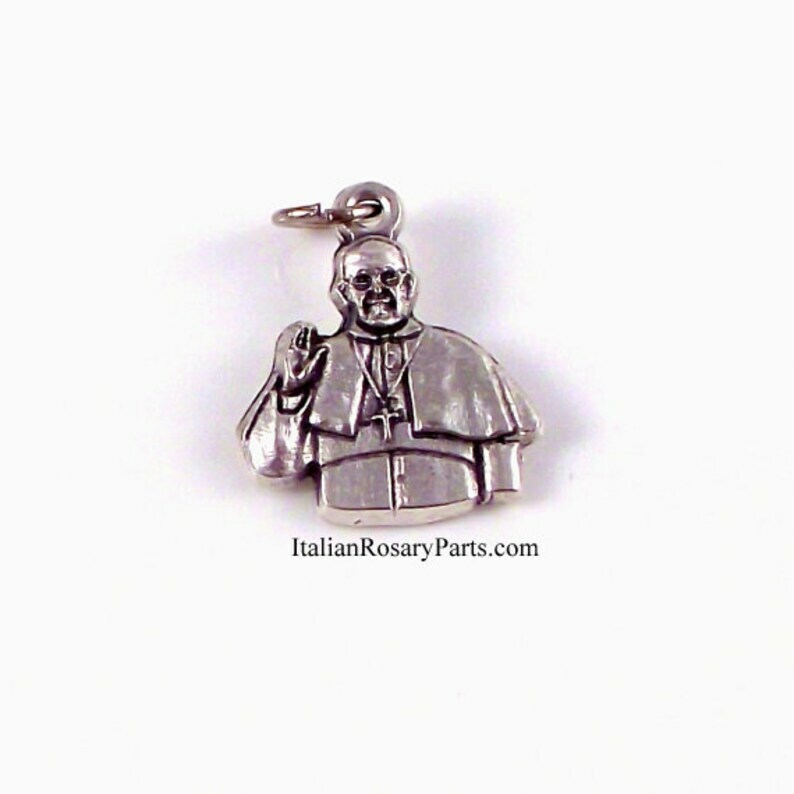 A Pope Francis bracelet medal / religious charm. Measures approx. 3/4" high. Silver-oxidized metal. Made in Italy. Very pretty. Great finish. Thanks!